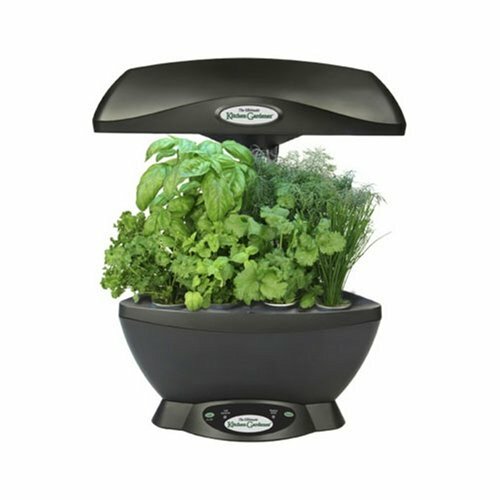 The AeroGarden provides everything herbs need. It’s an automated garden that provides the right combination of light, water, and air to grow fresh herbs year round. The AeroGarden Space-Saver 6 uses NASA-tested aeroponic technology to grow plants in water, nutrients, and air. Aeroponics is a dirt-free growing method in which plant roots are suspended in air within a highly oxygenated growing chamber with 100% humidity. The roots are bathed in ideal levels of nutrients, oxygen, and water, allowing the plants to grow significantly faster, become healthier, and have a higher nutrient content that plants grown in soil.